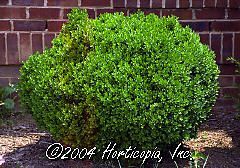 Slow growing, compact evergreen shrub with unique, aromatic, dark blue-green foliage. Ideal for low hedge, edging or borders. Tolerates heavy pruning.